Manufacturer of a wide range of products which include felt washers. 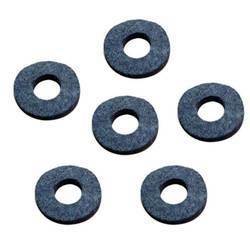 Used for mechanical purposes, these Felt Washers are durable and known for their sturdiness. We have various sizes and thickness available with us. These can also be customized as per the clients’ requirement. Looking for Felt Washer ?